Welcome to the Third Annual WASP Golf Tournament! Registration is now open, so please make your reservations early to ensure a place in the tournament. Plans are in place for a great event!!! A round of golf on the beautiful River Course at Kingsmill followed by lunch in the picturesque Riverview Room. Bring your best game and an appetite. Have a wonderful time with friends at one of our nation’s finest golf courses and all for a good cause. The format will be Captain’s Choice with a shotgun start at 8:30. There will be plenty of competition, prizes, free beer, and good food. Bragging will be permitted. Register ASAP to get your name on the list, because last year the field filled up fast. Access the registration form by clicking on the flyer to the right. Mail it in with a check. Fundraising is WASP’s sole source of income to teach and license these students, so we need businesses, local and elsewhere, to come forward and help! It’s a win-win situation. We are able to continue our program, and your business is publicized through banners, signs, and advertisements. With multiple levels of sponsorship available, all businesses have the opportunity to participate. THANK YOU SO MUCH! We thank Pratt & Whitney for their generous donations. Click on a photo to hear from the students! There is a projected shortage of 30,000 pilots over the next 15 years in the United States. And yet the need for pilots in both the military and commercial sectors is substantial. 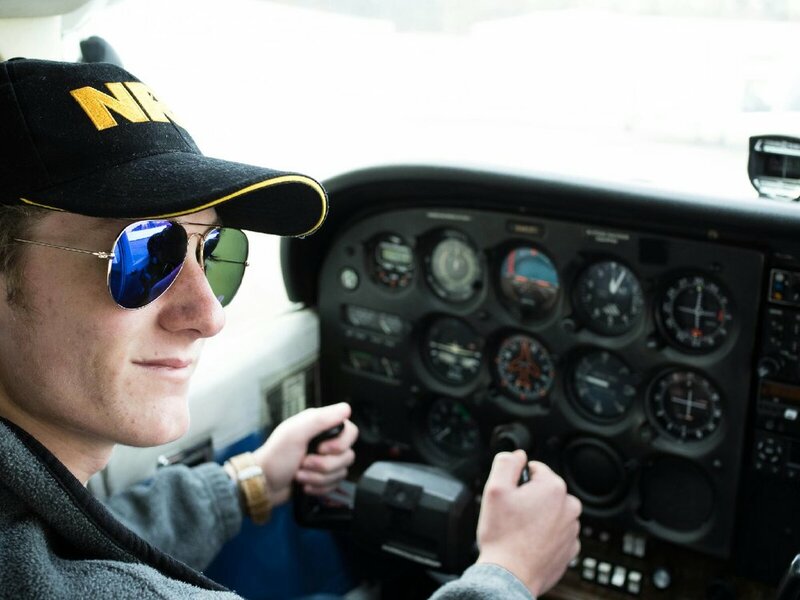 The cost of flight school has doubled, yet WASP offers high school students in the Tidewater area the opportunity to obtain a pilot's license for free, expediting the realization of a career in aviation.